David Yang is a Silicon Valley-based serial entrepreneur, founder and Chairman of the Board at ABBYY, co-founder of Yva.ai, and a member of the Band of Angels. He started his first company, ABBYY, in 1989 when he was a 4th-year student at MIPT. Today ABBYY has over 1,000 employees and is a leading developer of Artificial Intelligence, Content Intelligence, Optical Character Recognition, and Text Analytics software with offices in 11 countries. Thousands of companies and more than 50 million users in 200 countries rely on ABBYY applications and solutions. Currently, Dr. Yang is dedicated to Yva.ai by Findo, an ABBYY spin-off he co-founded in 2016. The company is developing an AI-powered real-time employee analytics and performance management system helping organizations save millions of dollars by predicting employee resignations, detecting interpersonal conflicts, and more. 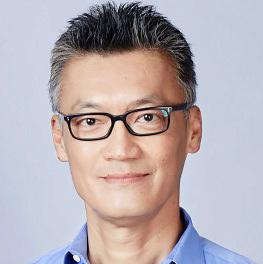 Dr. Yang started a variety of business, creative, and educational projects: he created Cybiko, a pocket communication computer for teenagers (1998-2003); co-founded iiko, a software company focused on solutions for the restaurant and hospitality industry (2005); co-founded Plazius, a mobile customer loyalty and payment platform (2013); founded a number of creative art-based ventures including FAQ-Café studio (2004) and DeFAQto (2010); co-founded Ayb Educational Foundation and Ayb School (2005); published a book on healthy eating "Now I Eat What I Want!" (2013). Dr. Yang holds numerous patents and has published several research papers and articles. His areas of interest include AI, modern art, architecture, and education. The World Economic Forum in Davos named him as one of the top 100 World Technology Pioneers. Ulf Persson has been a member of the ABBYY Group Board since 2002. 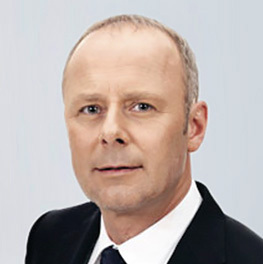 In March 2015, Ulf became the Chairman of the Board. In 2017, he was appointed as the CEO of ABBYY Group. Ulf is the co-founder and Managing Partner of Mint Capital. Prior to founding Mint in 2000, he was Managing Director of the $300-million AIG-Brunswick Millennium Fund. 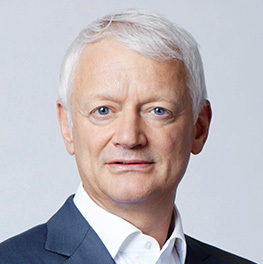 In the first half of the 1990s, Ulf managed exports of metals and raw materials from the CIS to European and US markets, as head of the Russian office of Axel Johnson and later at AIOC Corp.
Over the past 20 years, Ulf has been involved as an investor and board member in about 20 different growth companies, including Tablogix (logistics services), jNetx (telecom software), Parallel Graphics (web3D software), Socialist Ltd (social media advertising), 2V Studios (TV content production), Elecsnet (payment services), UCMS (HR & accounting BPO) and MyMoney (P2P car financing). Ulf is a graduate of Stockholm School of Economics and the Swedish Defense Language Institute and holds a B.Sc. in Economics. Karl Karlsson has served on the board of ABBYY since 2006. Karl is chairing the audit committee of ABBYY and serves on the company’s compensation committee. Karl is a serial entrepreneur that conceived of his first technology startup Scoop Inc. while still in graduate school. He took this company from idea to NASDAQ listing. Karl has been instrumental to the success of many global tech companies both as founding entrepreneur and as investor. Highlight projects include 3721.com sold to Yahoo and rolled in to Alibaba yielding $40+ billion value creation for Yahoo. Karl serves on the board of fashion tech company Vinted.com. He was Co-Founder and Chairman of Pickit.com and Senior Advisor to the Chairman/CEO of Monster Inc. Karl is currently a General Partner with San Francisco based venture capital firm Sway Ventures. At Sway Ventures, Karl serves on the investment committee and drives Sway’s international efforts. Philanthropic ventures include conceiving of, co-organizing and participating in Prince Albert II of Monaco's dog sledding expedition to the North Pole benefitting the World Wildlife Fund, having served as Chairman of Sir Richard Branson's Virgin Oceanic Explorers and as Senior Expedition Advisor to Virgin Oceanic. He is a BP Fellow of the World Scout Foundation, member of Travelers Club and a Fellow of The Explorers Club. Karl holds an MBA from the American Graduate School of International Management, Glendale Arizona and a BA in communications from California State University, Fullerton California. Marinos Dimosthenous is a professional Manager/Director with 20+ years of experience in production, corporate services (law & audit), travel and IT industries. He took a variety of managerial functions and positions, including general management. Marinos joined ABBYY in 2003, and since then has been successfully running ABBYY Cyprus. Holds a fellowship/membership in a number of well-known professional institutions in the UK and USA: the ILM, ISMM, ICPD, CMI, IOM, IEEE, IAP, IET, BCS, IoD, AMBA, PMI, and AIIM. An affiliate member of the CIM and associate member of the CQI, CIPD and APM. A member of the Cyprus Scientific and Technical Chamber, the Cyprus Computer Society, the Cyprus Association for Quality and the Cyprus Management Development Association. As partner of the International Merchandizing Centre in the mid nineties, Marinos was among the first to organize business delegations from Cyprus to Moscow, Kiev and Minsk, and back to Cyprus from the Moscow Region, Perm, Altai and Tatarstan. Holds an M.B.A. in Technology & Operations Management from the Cyprus International Institute of Management, a M.Sc. in Radio Engineering from the Moscow Technical University of Communications and Informatics, and a M.Sc. in Information Systems from the Open University of Cyprus. Vadim Tereshchenko graduated from the prestigious Moscow Institute of Physics and Technology, Russia, where he obtained a PhD in Technical Science for his work on handwriting text input systems. Two software applications designed by him during his school years were adopted and used by the Ukrainian Ministry of Education. 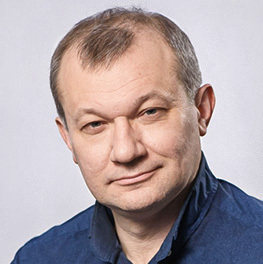 Mr. Tereshchenko joined ABBYY in 1992 as a deputy director of the R&D Department and later was promoted to the position of head of the FineReader Project and vice-president of the OCR (Optical Character Recognition) software development division. He holds over 10 international and domestic patents and is an author of a variety of OCR related publications. Mr. Tereshchenko had demonstrated his analytical and management skills, and in the year 2005 he was promoted to the position of CFO of ABBYY globally. He was responsible for the overall supervision of all financial activities and initiatives of the company worldwide. In 2017 he was appointed as the CFO/COO and Deputy to CEO of ABBYY Group. Anthony Macciola is a seasoned veteran of the tech industry, with over 30 years of experience in software, hardware, and algorithm development. He joined ABBYY's Executive Management Team as Chief Innovation Officer (CIO) in October 2017. In this role, Anthony will formulate ABBYY's market-focused vision and strategy for driving innovation and develop new product concepts and evangelize strategic marketing strategies. 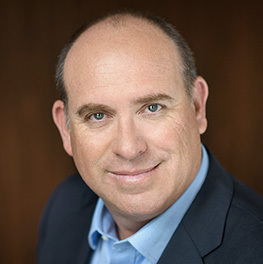 Prior to his appointment as CIO of ABBYY, Anthony held several leadership positions at Kofax, where he rose to become Chief Technology Officer (CTO). As CTO, he was responsible for, among other things, initiating and directing the company's mobile capture, text analytics, natural language processing, and image processing technologies. 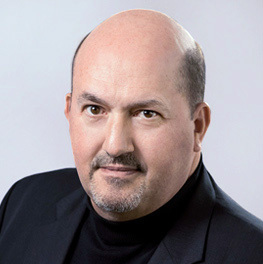 Before joining Kofax, Macciola served 3 years as the global VP for Marketing at Lantronix, a leading provider of embedded networking technology. Prior to that, he was part of the team at UK-based Xionics, and was instrumental to the company’s successful establishment in the U.S. and Australian markets. Anthony Macciola holds a B.A. in Business Administration and Management Information Systems from California State University and participated in Harvard’s Executive Management briefings. He holds over 45 patents in the areas of mobility, text analytics, image processing, and process automation. Konstantin Anisimovich grew up in Minsk, Belarus, and is a graduate of the prestigious Moscow Institute of Physics and Technology, where he specialized in General and Applied Physics. Mr. Anisimovich joined ABBYY in 1991 and became the company’s Chief Technology Officer and Vice-President for Linguistic Technologies overseeing the company's R&D and product development activities. He was directly involved in, and managed the development of, the recognition technologies, which are used in ABBYY's flagship products: FineReader, Recognition Server, FormReader and FlexiCapture products. Andrey Isaev has been appointed ABBYY’s Chief Product Officer (CPO) effective from June, 2017. As CPO, he is responsible for driving product management on the global scale and for expanding existing product lines into new markets. Isaev began his career at ABBYY in 2007 and has held senior management level positions including as Director of SDK Products Department and Vice President. As Director of SDK Products Department, Andrey achieved three-fold growth in SDK business and successfully launched several new products bringing them to profitability faster. He has honed his particular expertise and solid experience in key products including ABBYY Cloud OCR SDK, FineReader Engine and FlexiCapture Engine, helping leading companies embed ABBYY SDK into their solutions. Andrey graduated from the Faculty of Management and Applied Mathematics of Russia’s prestigious MIPT, Moscow Institute of Physics and Technology. 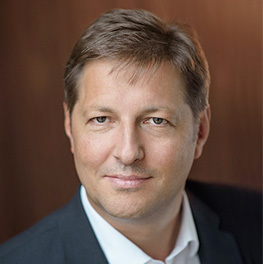 As Chief Sales Officer, Bodo Wagener is responsible for global sales and business development. An industry veteran with more than 15 years of experience working in sales related roles for international technology companies, Wagener has a proven track record of opening new sales channels and driving revenue growth. 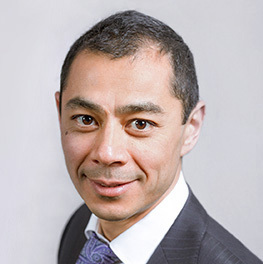 Prior to his current position, Wagener was Senior Vice President of Sales for ABBYY’s European headquarters and held multiple sales roles within ABBYY. Wagener has also held positions various companies in the technology industry and gained profound knowledge of the manifold aspects of the IT sector. Furthermore he brings distinct expertise in consulting governmental institutions and companies and evaluating the ideal solution for individual needs. Wagener has worked for such global companies as Digital River, Alstom, and Balcke-Dürr and has studied process engineering. 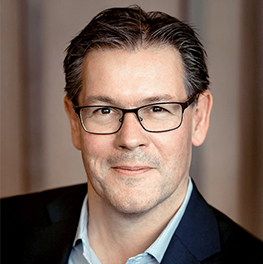 Jupp Stoepetie is Chief Marketing Officer, driving the development and execution of strategies to bring ABBYY products and technologies to the market. An instrumental part of ABBYY’s strategic development for more than 15 years, Stoepetie has served as Chief Executive Officer of ABBYY Europe GmbH since 2001 when founded the Western European sales and marketing organisation. Under Stoepetie’s direction, ABBYY Europe has achieved best-seller status for ABBYY products and established partnerships with major European vendors of information management software and solutions. Prior to founding ABBYY Europe, Stoepetie co-founded Mitcom Neue Medien in 1992. Mitcom was a German-based software publisher that licensed tools and utilities software. Mitcom partners included developers around the world and started selling ABBYY software in German speaking countries in 1997. 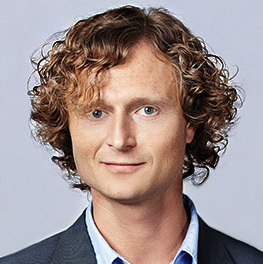 Stoepetie also provided product management consulting for Kelly Data, a mid-sized German software publisher, during which time he helped Kelly establish their product portfolio. Previously, Jupp worked for the University of Utrecht, Netherlands as head of the user support and consultancy group. Jupp was educated as Biologist, and later went on to study Informatics. Bruce Orcutt is a veteran Product Marketing and Product Management professional with over 20 years’ experi¬ence in Enterprise Software. In his current role, Bruce will be driving global product marketing for ABBYY's intelligent capture solutions that create business value for organizations. He will focus on go-to-market strategies that will accelerate the adoption of ABBYY solutions worldwide. 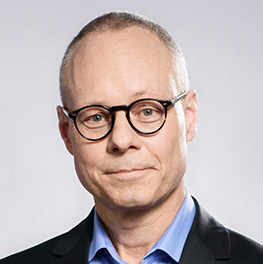 He joined ABBYY in 2015 as Vice President of product marketing for North American headquarters, responsible for the ABBYY enterprise software business. Prior to joining ABBYY, Bruce was the Senior Director of Product Marketing at Kofax, Inc. responsible for the mobile products, platform and solutions. Bruce has successfully developed and launched global enterprise software products, platforms and solutions for Financial Services, Insurance, Transportation, Manufacturing, and Government with an emphasis on accelerating transac¬tions, improving competitive advantage and reducing costs. Bruce is a Graduate of Fresno State University. 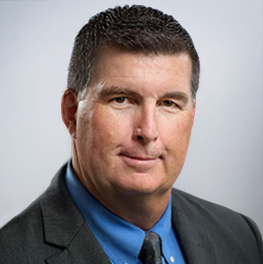 President of ABBYY USA Software, Inc.
Art Whipple is the President of ABBYY USA Software House, Inc. Art also served as the Executive Vice President, Global Services from January 2018 until March 1, 2019, when he successfully passed the Global Services role to a new member of the corporate leadership team. Art remains a member of the Executive Management Team and continues to provide support for all US based employees in areas including administration, legal and human resources as head of the US office. Art joined ABBYY in early 2015 as Chief Financial Officer in the company's North American Headquarters (NAHQ), later becoming President of NAHQ in 2016. As President, he played a key role in returning the company’s North American business unit to significant growth in 2017. He has served in numerous professional capacities including as a process engineer, cost accountant, treasurer, accounting manager, chief accounting officer, chief financial officer, chief operating officer, VP of engineering, VP of business development, president and chief executive officer. He is currently the lead director and audit committee chairman at GSI Technology, Inc., a public semiconductor manufacturing company. Art has had executive roles in both private and public companies listed on NASDAQ, the London Stock Exchange and the NYSE. He has played a significant role in more than 25 merger and acquisition transactions, both as the buyer and the seller. He also managed or participated in several successful IPOs and other public and private financing transactions. Art received his BSEE at the University of Washington and his MBA from the University of Santa Clara. He is a certified management accountant (CMA) and a member of the Tau Beta Pi Association – the oldest engineering honor society in the United States. Dean Tang grew up in Taiwan. A veteran in the Optical Character Recognition (OCR) industry, he founded ABBYY USA in 1999 as a fully-owned subsidiary of ABBYY. Earlier, in 1993, he co-founded Micro3, Inc., an e-mail marketing company. Micro3 created a powerful and effective channel for product sell-through (www.micro3.com). In 1989, Mr. Tang, with K. Bobby Chao, co-founded OCRON Inc., a pioneering OCR and BCR (business card reader) company. He was the key developer of Recore OCR SDK and Perceive Personal OCR software. He also developed the first OCR technology, MORE – Multiple Optical Recognition Engine, which is based on the concept of OCR voting. MORE was voted Imaging Magazine’s 1994 product of the year. In 1996, OCRON was acquired by UMAX, one of the largest high tech conglomerates in Taiwan. After the acquisition, the company was renamed NewSoft and Mr. Tang was in charge of the company’s North American operations. NewSoft went public in Taiwan in 1998 (www.newsoftinc.com). 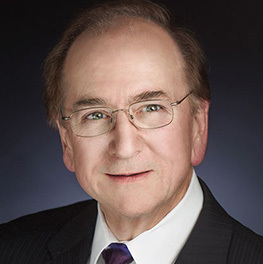 Between 1983 and 1988, he joined three early stage start-up software companies: Daisy Systems, Atherton Technologies and Athena Software; all were affiliated with the CAE (Computer Aided Engineering) and CASE (Computer Aided Software Engineering) industries. Mr. Tang was the principal developer of the first commercially available Object Oriented Repository for the Computer Aided Software Engineering (CASE) market. Daisy Systems went public in 1983. Dean Tang holds a master’s degree in Math and Computer Science from San Jose State University and a bachelor’s degree in Banking and Insurance from Feng Cha University in Taiwan. 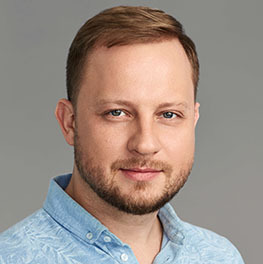 Vitaliy Tyshchenko has been named as ABBYY's new Head of Global Services, effective from March 1, 2019. In this role, he will take on company-wide responsibilities for a number of key functions including Strategic Customer Success, Professional Service, Technical Support and Education Service. He will also combine the top job with his current role as the Managing Director of ABBYY’s office in Ukraine. Prior to his current appointment, he took on the position of Vice President, Head of Professional service in January 2018. Vitaliy graduated with Honors from the Faculty of Cybernetics of Taras Shevchenko National University of Kyiv. In 1993, while still a student, he began his career as the Head of a Software Department at an IT company. In 1995, he established ABBYY's first foreign office in Ukraine, where he worked as its CEO until the company was reorganized in 2017. During his tenure in that position, he oversaw the successful expansion of operation of Ukrainian office to 20 countries in Eastern Europe, as well as to Israel, Cyprus and Turkey. Vitaliy has earned top ranking multiple times in the Top Managers Rating of IT Companies in Ukraine. His hobbies include viticulture, skiing and being outdoors. 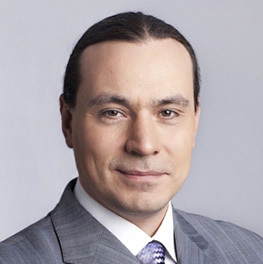 Yury Koriukin has 20 years of successful sales and management experience in the IT industry. As the Chief Executive Officer of ABBYY Australia, he is responsible for the promotion and sales of ABBYY products in Australia and New Zealand. He joined ABBYY in 2001 as an account manager. Three years later, Yury headed the Corporate Sales Department at ABBYY Russia and, together with his team, implemented a series of large-scale projects in various market sectors. In 2010 he founded and became the head of the ABBYY office in Australia, quickly turning it into a solid business unit, thanks to his highly competent leadership in the development of business and partner relationships. 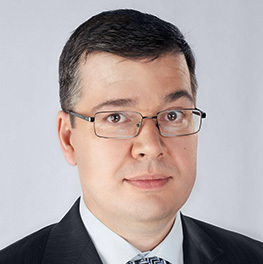 From 2014-2017, he served as the head of ABBYY Russia as well. Prior to ABBYY, Yury worked for Garant Service (a Russian company developing the GARANT legal information system), where he was promoted from account manager to head of the department, working with large corporate clients. Yury graduated from Lomonosov Moscow State University’s Faculty of Mechanics and Mathematics. Elena Pospelova is the leader of the ABBYY 3A office and responsible for business development and sales in more than 140 countries of Asia, Africa, and South America. Elena joined ABBYY in 2001 as an account manager in charge of sales in the Asian region. In 2005 she headed the Department of International Sales, which later evolved into a separate business unit (ABBYY 3A) under her strong leadership and vision. ABBYY 3A became the fastest-growing business in the company, operating at over 50 percent profitability, thanks to a highly effective sales strategy and deep understanding of local markets. 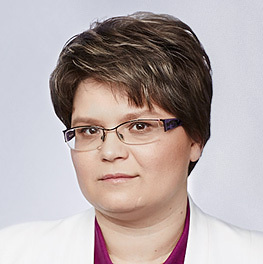 Elena graduated from Lomonosov Moscow State University in 1991 (Faculty of Computational Mathematics and Cybernetics) with a specialization in applied mathematics. After graduation she worked on UNIX software development projects in Japan for two years. When she returned to Russia, Elena joined the software company SPIRIT, managing Russian-Japanese R&D projects. Starting from 1994, she worked at the Samsung Research Center in Moscow, which was responsible for the search and acquisition of promising software technologies. One of her achievements at that time was a unique technology agreement signed with ABBYY in 1996. Finally, David Yang, the Founder and Board Director of ABBYY, offered her to join his Cybiko project (pocket communication devices for teens) in 1999. Throughout her entire career, Elena has been focusing on building partnerships with technology companies in emerging markets, providing comprehensive solutions to address local needs. Dmitriy Shushkin is the Chief Executive Officer of ABBYY Russia with responsibility for sales and promotion of all ABBYY line of products in Russia. Dmitriy joined ABBYY in 2004 as a Corporate Account Manager and, by 2007, had become the company's head of Large Scale Projects. In this position, he successfully launched a number of innovation projects for top ABBYY customers across the country, including the Russian Railways, the Federal Financial Monitoring Service of the Russian Federation, and Alfa Bank. 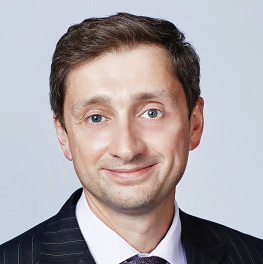 From 2009, Dmitriy occupied a number of executive positions including as the Deputy CEO of ABBYY Russia, and the company’s Director of Corporate Projects. During his tenure, he developed and implemented a successful partnership strategy and established a high-level of pre-sales service. He and his team served the top largest companies and organizations in Russia, and launched new products in the market. Before joining ABBYY, Dmitriy worked as a key account manager at CBOSS. For many years, Dmitriy has been a member of the Expert Council of Docflow, the largest professional community for knowledge management in Russia and the CIS. Torsten Malchow joined ABBYY as Vice President, Head of Global Enterprise Sales at ABBYY in August 2018. 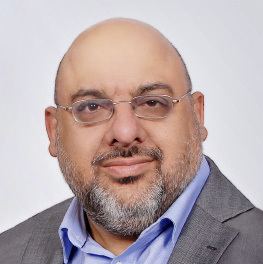 He has more than 20 years of experience working in enterprise software solutions and has led teams in direct sales, partner sales and business development, and drove significant revenue among verticals in the US, DACH region and emerging markets. Torsten will lead the development and execution of aggressive sales strategies that expand ABBYY’s market penetration for its leading content intelligent solutions and services in targeted industries and regions. Prior to joining ABBYY, he was Vice President, Business Process Outsourcing (BPO) at Kofax, and previously co-founded and was Chief Sales Officer at Foxray, a company specializing in enterprise solutions and BPA. Torsten holds a Master’s Degree in Business Administration, IT and International Marketing from the University of Hamburg. Originally from Germany, he resides in the US. 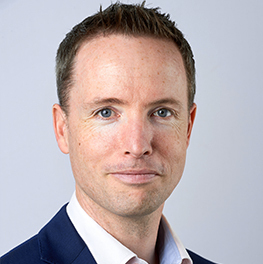 Neil Murphy was appointed to Vice President, Head of Global Business Development at ABBYY in March 2018 and is responsible for expanding the company's business into new markets and applications. Neil joined ABBYY in 2016 as Sales Director heading the UK office in London where he successfully transformed the regional business to offer more strategic value-led solutions resulting in significant growth year-over-year. In his new role, Neil will continue to drive significant growth with the robotic process automation (RPA) and wider AI markets globally. Neil's deep understanding of data capture, cognitive understanding and process automation technologies spans nearly 20 years in a multitude of sales leadership and strategic roles at global organisations. He has experience scaling mature and new technology start-ups by building a sustainable model of strategic technology and go-to-market partnerships which serve to enhance corporate brands and revenue on a global scale. Neil is a regular contributor and speaker to industry publications and RPA/AI events. Butch Reh is ABBYY’s Vice President and Head of Global Licensing. He is responsible for developing and executing strategies to ensure the success of ABBYY’s software and hardware partners. Upon joining ABBYY in 2008 as Director of Strategic Alliances, Butch has held several senior management positions. Since his promotion to Vice President in 2013 he has been a key driver of revenue growth initiatives while maintaining general management responsibilities for day‐to‐day operations of the U.S. and Asia teams. Butch’s success as a technology sales leader began with the Hanover Insurance Company, where he earned the FLMI designation from the Life Office Management Association (LOMA). From there he moved on to EMC Captiva, where he held a variety of key management roles. During his tenure he drove their strategic partner recruitment, channel development, strategic marketing, project management, and product development. Prior to ABBYY, Butch was Director of Strategic Alliances for Daybreak Intellectual Capital Solutions, Inc. where he led the development and execution of the company’s partner strategy. Butch holds a Bachelor of Science degree in Management Information Systems from Nichols College. Paula Sanders is Vice President of Global Customer Enablement at ABBYY, and has over 30 years of experience working with document imaging, data capture, business processes, CRM and ECM technologies. In her current role, Paula leads teams who provide technical product and solution support in pre-sales and post-sales activities across the US, UK, Europe and currently expanding into Asia. During pre-sales, her goal is to successfully demonstrate the value of ABBYY solutions while bidding solutions, proof-of-concepts, and closing qualified leads. During post-sales, Paula is a customer advocate across sales, service and support to ensure successful implementation of ABBYY products. She and her team have consistently achieved record-breaking sales by closely supporting enterprise sales, licensing and channel teams, and training partners. As the former the Director of the US Sales Engineering Team at ABBYY for several years, Paula has deep understanding of ABBYY products and established unquestionable credibility with clients, prospects and VARs. Paula is also an advocate for women in technology.